The Office of Career Services provides a variety of career and professional development activities and support throughout a Newberry student's career to give them the relevant support at the most appropriate times to ensure they are prepared to succeed in the job market. To develop and equip every Newberry College student to explore, define, articulate and pursue their personal, educational and career goals. Newberry students will graduate with the clarity, confidence and capacities to pursue a successful and fulfilling career.  Wolves2Work is the place for all things career at Newberry College. You can find internships, part-time jobs and career jobs here. We want to ensure that that your are competitive in the workplace. Your first step is to create a profile that gets you noticed by employers who are looking for interns and employees. Wolves2Work, powered by Purple Briefcase, is the best place to post part-time jobs, full-time jobs, internship and cooperative learning opportunities, and connect with Newberry College students for your hiring needs. Navigate to the My Schools page, scroll down to the Request Access section and select South Carolina (SC). After all the schools load, scroll to Newberry College in Newberry, SC, and click Request Connection. Newberry College will approve your profile within two business days after which you will be able to post jobs, connect with prospective employees and register for on-campus recruiting opportunities. Self-exploration is an important part of the first year of college. It is during this crucial year that students begin to fine-tune and focus their goals. To help facilitate this process, the Career Services office coordinates events and programs that help students assess interests, values, strengths and direction. This programming is integrated into the academic experience and is major specific. As students select and declare a major, discipline and industry specific professional development becomes a crucial part of the college experience. At this point it is imperative that students begin developing their personal, professional brand and begin building their personal network. The Career Service office provides training and tools for students and faculty to use as the students begins transitioning from student to young professional. An initial resume is prepared during this time, and basic interviewing and networking skills are developed. At this phase of their college career Experiential Learning becomes imperative. Internships, co-ops, clinical training and student teaching become a cornerstone of a student's education. Students interested in pursuing a graduate degree should begin researching programs, preparing for graduate entrance exams and visiting schools. Career Services can provide support to students as they pursue these opportunities, ensuring that student resumes are professionally prepared and that students are skilled in interviewing. As a student’s college career nears completion, the transition into the professional world begins. Students should be actively engaged in applying for positions that fit their interests and skills or applying to relevant graduate programs. Career Services works closely with seniors on tactical and strategic issues.